Romero Canyon offers one of Tucson's most popular hikes...Romero Pools. But there is so much more to this canyon. It takes you all the way to Romero Pass where you can overlook much of Pusch Ridge. It's also a fun and tough climb. The hike to Romero Pools is well documented and well known to almost every hiker in Tucson. There is a full write-up elsewhere on this site, so a brief overview of this part is all that's necessary. The trail immediately crosses the wide, usually sandy Sutherland Wash. On the other side hang a left at the junction for the birding trail and climb up the short steep bank. The trail is wide and a little sandy for the first 0.6 miles, offering wonderful views of Pusch Ridge to your right (including the vertical north fave of Table Mountain, Bighorn and Pusch Peak). The elevation gain through the desert here is quite mild. At 0.6 miles you'll see a signed trail breaking left for the Canyon Loop trail. Go right to the pools. For the next 0.5 miles the gain remains nearly the same as you come to the signed break off to the right for the Montrose Pools overlook. You're now entering Montrose Canyon. The trail begins to climb much more ernestly along the north wall of Montrose Canyon on it's way to the divide between Romero and Montrose Canyons and the rocky wonderland it houses. Be sure to look down to your left here to spot a sometimes huge waterfall down in the depths of Romero Canyon far below. After crossing the divide at about 2.6 miles, the trail descends down towards Romero Pools. This is one of Tucson's most famous waterparks. There is almost always water here and you can explore up and down the canyon to find a pool that suits you, and maybe escape the crowds. Roughly 2.8 miles of hiking from the trailhead puts you at the pools. The trail continues beyond by simply crossing the streamcourse right where you hit the pools. There is usually a cairn marking the spot where the trail climbs steeply out of the stream. It briefly passes through a flat open segment with heavy regrowth from the recent fires. The stream trickles along your right. Beware of the many side trails here breaking off to the stream or just sort of going nowhere. In about 1/4 mile from the pools the trail really does cross over the streamcourse to the south side of the canyon. Cairns may help you here. Be sure to look a couple yards up the canyon here for a nice little enclaved fall before crossing over. Once on the right/south side of the canyon you'll hike only a few minutes before crossing over again to the north side of the canyon. Once you cross here again, the trail will now start to switchback and climb away and up the north wall of the canyon, which narrows down and falls away quickly to your left. You can start to see more up into the highcountry now, occasionally you may even spy Romero Pass, your destination. You can also see Cathedral Rock way above you. As you head deeper into the canyon you'll cross over a small draw and then soon thereafter descend briefly back to the canyon bottom in a shaded area. This is an excellent, shaded area known as Old Trail camp. The streamcourse is right behind the campsite. If there's water going in the canyon it may be available here. Not guaranteed though. This sweet spot is about 4.9 miles from the trailhead and sits about 4710 feet. After leaving the Old Trail camp, the trail will become much less traveled and at times pretty faint. As it climbs up the depths of Romero Canyon you will be shaded most of the way. There are multiple canyon crossings as you go, currently facilitated by a large cairn network that can be quite handy. This is the route you'll follow for a little over a mile. Just a little over 6 miles from the trailhead the route will break south out of the main canyon and start to climb a side drainage. The route crosses over this drainage a couple of times, and occasionally it even just climbs straight up the narrow drainage to redeposit you on the trail. The trees clear out enough to see Romero Pass looming above you, always getting closer. Near the top the trail breaks out of the drainage altogether and steeply switchbacks up to Romero Pass. The footing can be a little sketchy on this last push, which is made tougher by being quite steep too. At Romero Pass you'll likely catch a nice breeze. The trail makes a hard left and climbs a few yards up to the signed junction with Mt. Lemmon trail to the summit on your left and West Fork Trail down into Sabino Basin. The Pass is exposed after the fires. The views down Romero Canyon and Sabino Basin rock. There are varying theories as to the length of the Romero Canyon trail. 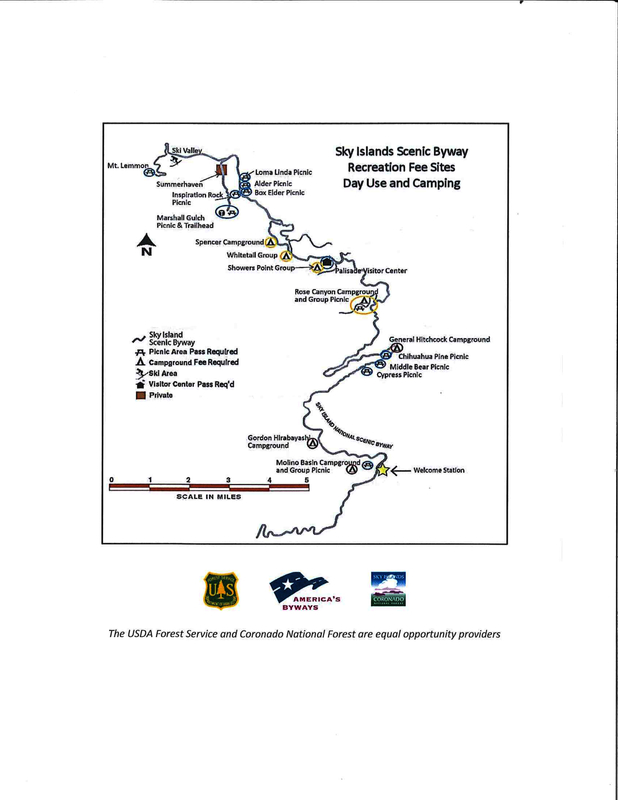 Coronado National Forest lists it at 6.6 miles, the State Park says 7.2. My GPS said about 6.75. Either way the pass sits just over 6000 feet and offers commanding views worth the effort. Coronado FS Reports A desert canyon stream and great views of Pusch Ridge and the Santa Catalinas await you along this popular trail. The hike starts in Catalina State Park and uses scenic Romero Canyon as an access route into the Pusch Ridge Wilderness. Even along its early stretches, this trail offers good views of the Santa Catalina Mountains and of Cathedral Rock towering over the pinnacles of Pusch Ridge. The climb toward Romero Pass includes several sections of steep switchbacks, some of which are rocky and rutted. Along initial stretches of the trail, heavy use has made the route hard to pick out from a maze of opportunistic pathways that branch off to random destinations. As you make your way toward the pass, however, broad vistas continue to increase in drama and occasional sightings of desert bighorn sheep add an extra element of excitement to an already rewarding hike. At Romero Pass you have a number of trails to choose from. Connecting trails provide routes to the summit of Mt. 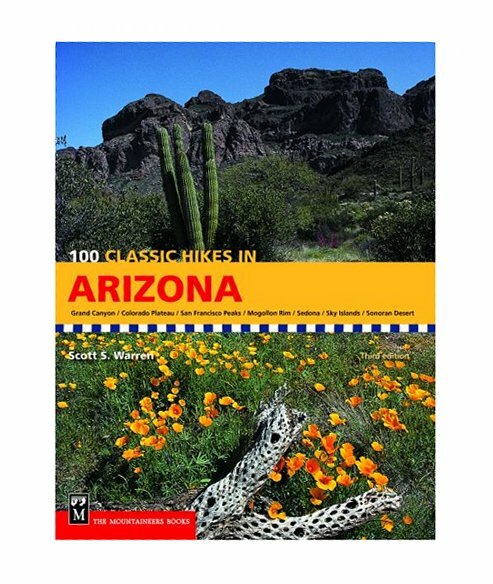 Lemmon, to the Wilderness of Rock area, and to the scenic Sabino Basin and Sabino Canyon area to the south and east. Cathedral Rock Trail #26, a rugged and difficult route, provides access from Romero Pass to all the Front Range trails. Attractions: Great views, waterfalls and wildflowers (after snow melt or good winter rains), access to Sabino Canyon, watchable wildlife and trails to Mt. Lemmon & Pusch Ridge!